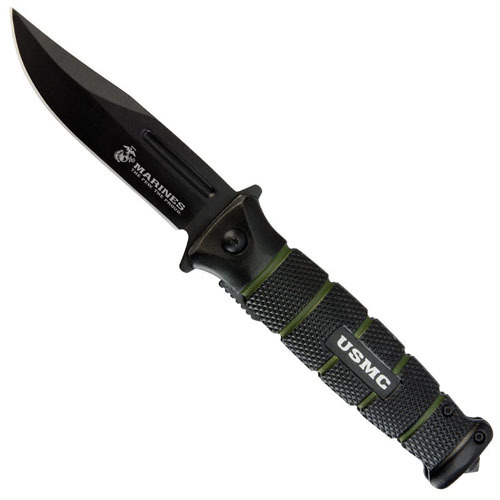 This officially licensed USMC Combat folding knife features a razor-sharp, non-reflective, black-coated stainless steel blade with a blood groove and USMC logo. 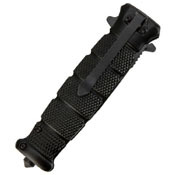 Access the powerful blade by engaging the effortless assisted-opening blade spur. 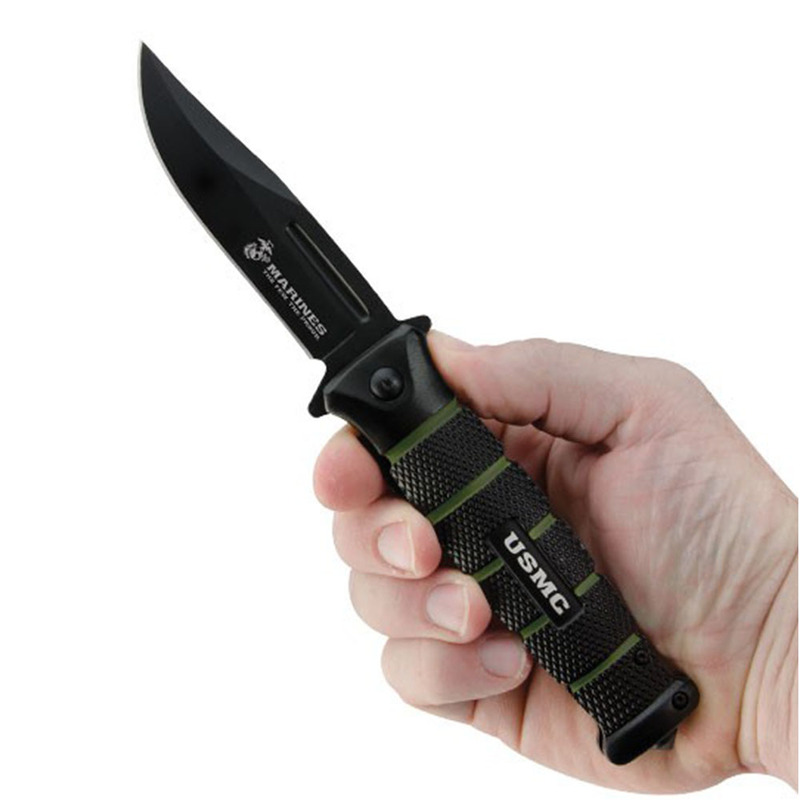 The black and green textured aluminum handle provides a sturdy grip complete with a black-coated stainless steel pocket clip and a glass-breaking tip.